"What a great way to start off the conference", said Jonathan Male, Director of the US Department of Energy Bioenergy Technologies, after Bede Wellford, Renewables Sales Manager at Viessmann Manufacturing Company, concluded his opening remarks at Bioeconomy 2017. 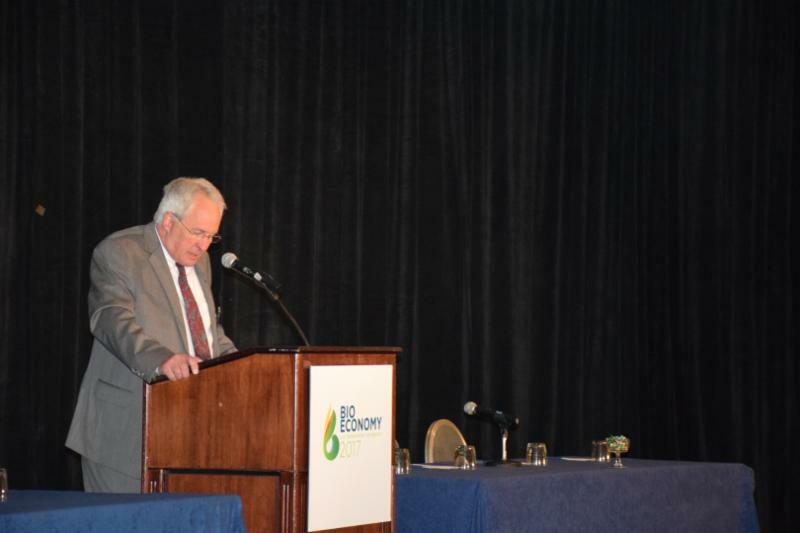 The conference, held July 11-12 in Arlington, Virginia, was the Bioenergy Technology Office's tenth annual event dedicated to emerging bioenergy technologies and markets. 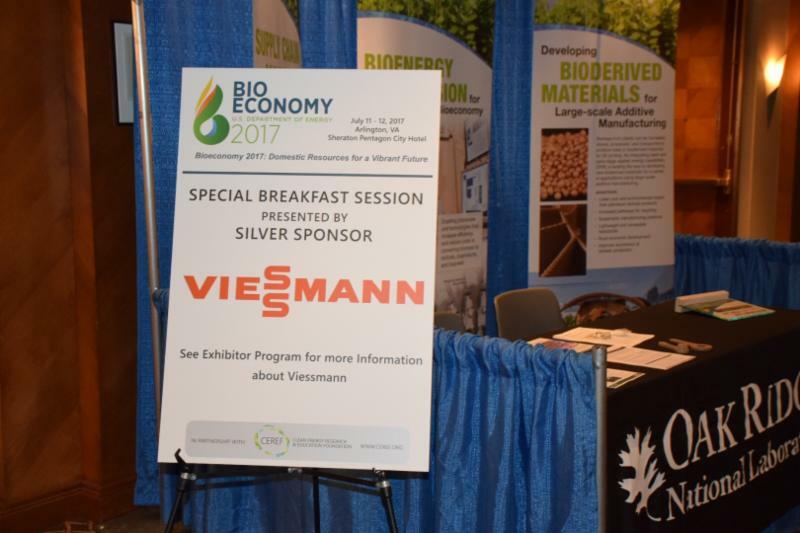 As a Silver Sponsor, Viessmann provided the modern wood heating industry an opportunity to be visible at the start of the event and be recognized by the government officials and researchers in attendance as an important component of the bioeconomy. Development of the Wood Energy Financial Calculator to assist in scoping out costs for wood energy conversions. Bede then provided an overview of Viessmann boilers and solar panels available in the U.S., and its worldwide market, including air-to-water heat pumps. He also informed the audience that Viessmann is no longer conducting research on fuel oil boilers because the company views oil as a heating fuel of the past. Bede next posed the question, "What is the 'bioeconomy?'" For much of the Northern Tier of the US, he responded, it is wood. Many areas have seen significant declines in timber and pulp industries. However, there is still a need for lumber and paper, and for the wood residues that these industries create. Biomass heating, cooling, and process heat currently provide one of the only viable markets for these forest residues. It reduces emissions that cause climate change, and is close to carbon neutral in carbon accounting standards. It provides local economic benefits by keeping dollars and jobs in rural communities. It provides local schools, hospitals, and other institutions significant cost savings by investing in wood boilers operating at 80 -85% efficiency. In conclusion, Bede reminded the audience that biomass thermal is a significant part of the bioeconomy. While the focus of the conference was advanced biofuels, bioproducts and biopower, he advocated that biomass thermal be considered a part of the bioeconomy, and that wood be understood as part of the solution set that will help the US move toward sustainability.